Thomas and Janice Hostetter bought their first Mazda, a B2000 SE Sport pickup, in 1984. They bought their 17th, and current Mazda, a 2016 CX-5, just a few months ago. What started as a purchase of convenience—for a newly married couple just starting their life together, choosing an affordable, economical vehicle was important—turned into decades of dedicated loyalty to not just a car brand, but also to a friendly, family-owned dealership. For that reason, the Hostetters have bought every car for the past 33 years from Hiley Mazda of Arlington (which was Jerry Kelly Mazda when the Hostetters bought their first few cars in the ‘80s) in Arlington, Texas. Even when The Hostetter’s moved to Tennessee four years ago, they continued to come back down to Texas whenever it was time to trade in their current vehicle for a new Mazda. They will admit that their trips sometimes did have an ulterior motive—most of the couple’s six children and 36 grand- and great-grandchildren still live in Texas, so it’s always a great excuse to visit them. “The reason behind all this is the dependability that we have gotten out of these cars over the years is excellent, and the service that we get from the dealership has always been fantastic,” Thomas said. They’ve had so many Mazdas over the years, it’s hard for them to narrow their favorite down to just one. According to Thomas, they’ve owned “quite a few” 626s, and if it comes down to a vote, that must be their favorite by popularity. 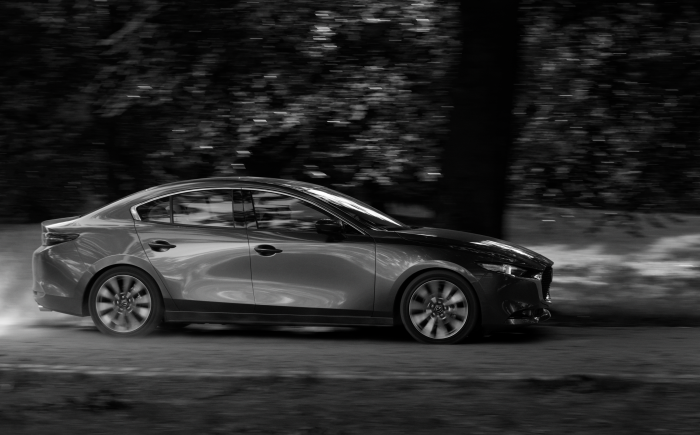 They also briefly owned a Mazda6 in 2013. A new up-and-comer in the harem of Hostetter Mazdas, their last three cars have been CX-5s. Recently, they had a 2014 CX-5, which was involved in a head-on collision while Thomas was driving. All the airbags in the car deployed and luckily everyone involved walked away with nothing more than bruises. The Hostetters immediately made the journey to Texas to get a replacement Mazda, returning to Tennessee with a 2016 CX-5.